Soros on Soros interweaves financial theory and personal reminiscence, political analysis and moral reflection to offer a compelling portrait of the world (and its markets) according to Soros. In an interview-style narrative with Byron Wien, Managing Director at Morgan Stanley, and with German journalist Krisztina Koenen, Soros vividly describes the genesis of his brilliant financial career and shares his views on investing and global finance, politics and the emerging world order, and the responsibility of power. Speaking with remarkable candor, he traces his progress from Holocaust survivor to philosophy student, unsuccessful tobacco salesman to the world’s most powerful and profitable trader and introduces us to the people and events that helped shape his character and his often controversial views. 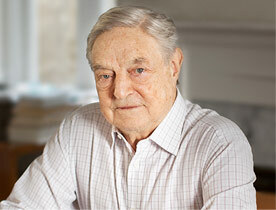 In describing the investment theories and financial strategies that have made him “a superstar among money managers” (The New York Times), Soros tells the fascinating story of the phenomenally successful Soros Fund Management and its $12 billion flagship, Quantum Fund. He also offers fresh insights into some of his most sensational wins and losses, including a firsthand account of the $1 billion he made going up against the British pound and the fortune he lost speculating on the yen. Plus: Soros’s take on the devaluation of the peso and currency fluctuations internationally. He tells of the personal and professional crises that more than once threatened to destroy him and of the personal resources he drew upon to turn defeat into resounding victory. And he explains his motivations for establishing the Soros Foundation and the Open Society Institute through which he worked to build open societies in postcommunist countries in Eastern Europe and the former Soviet Union. Finally, turning his attention to international politics, Soros offers keen insights into the current state of affairs in Russia and the former communist bloc countries and analyzes the reasons behind and likely consequences of the West’s failure to properly integrate them into the free world. He also explores the crisis of the ERM and analyzes the pros and cons of investing in a number of emerging markets. Find out what makes one of the greatest financial wizards of this or any age tick. Soros on Soros is a must read for anyone interested in world finance and international policy.